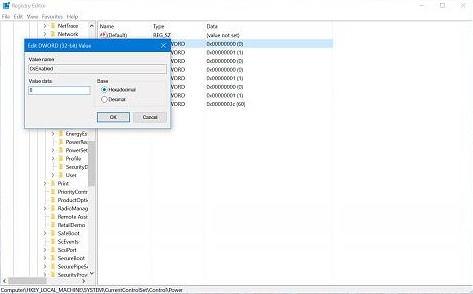 Here’s a quick registry hack found on Windows Central that will enable you to throttle maximum CPU utilization on your Surface Pro/Book to minimize power usage and extend the life of your battery even further. Click start and type "regedit" (no quotes) to open the "Registry Editor"
Change the value of "CSEnabled" from 1 to 0. Click OK, exit the registry editor & reboot. Log back in and check your Power Options, you should have all of the hidden Power Themes & advanced options. *Maximum processor state settings will modify the throttling settings. This is particularly useful when you’re using the Surface Book in clipboard mode and want to maximize the battery of the tablet portion of the Book.